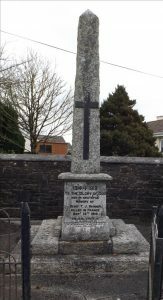 The Memorial was erected in November 1927 and West Devon and Cornwall Farmers supplied the materials at the cost of £17-6-8. 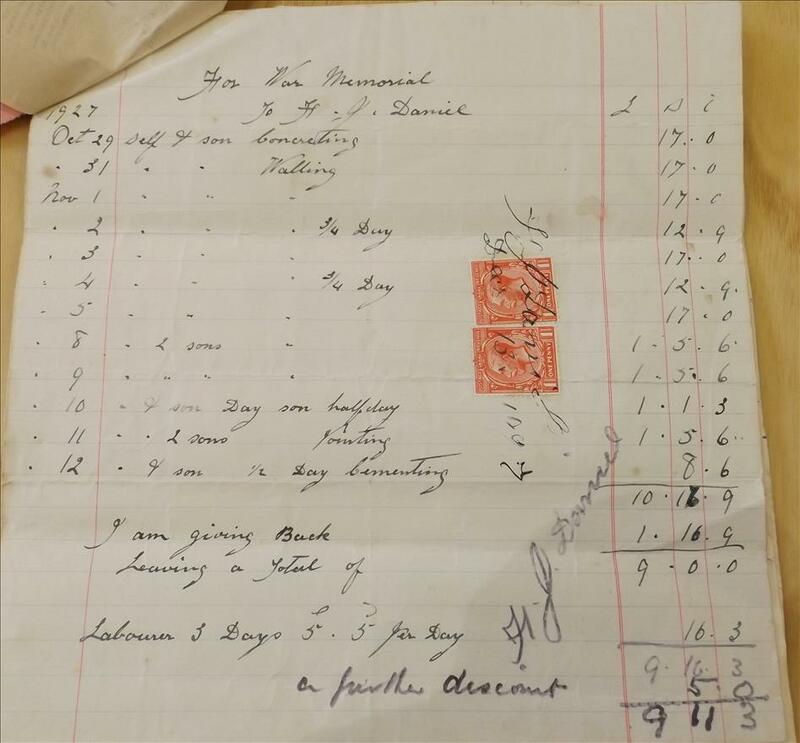 H J Daniel carried out the work with his sons between October 29th and November 12th at a cost of £11-13-0. 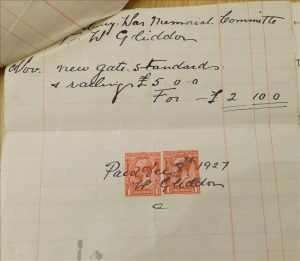 The daily rate was just 5s 5d (30p). He gave a total discount of £2-1-9 making the total bill just £9-11-3 for 12 day’s work for him and his sons. 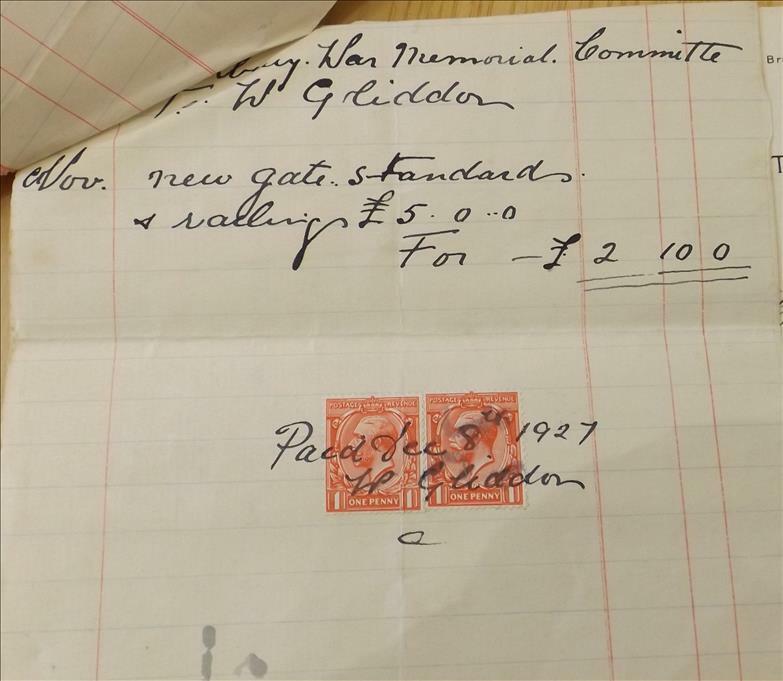 F W Gliddon supplied the gate and railings which cost £5-0-0 but he seems to have charged just £2-10-0. 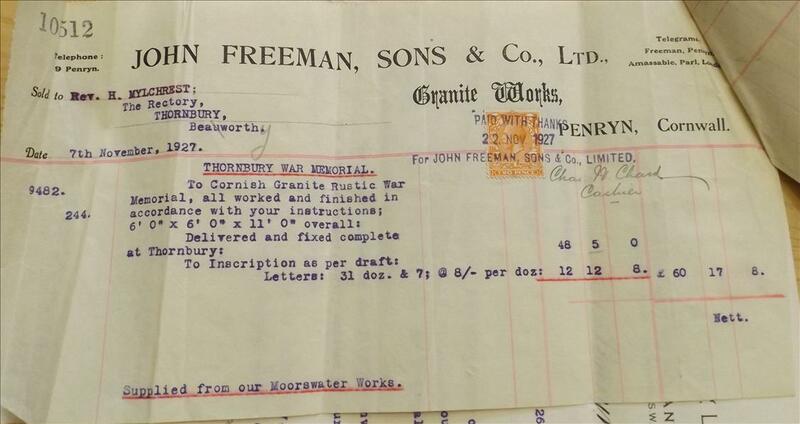 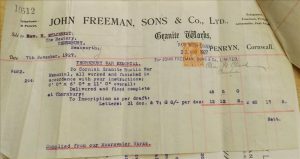 John Freeman and Sons of Penryn in Cornwall supplied the granite memorial at a total cost of £60-17-8 installed. 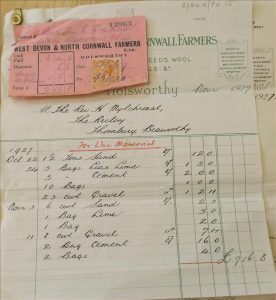 Of this, the letters (31 dozen & 7 @ 8/- per doz), were £12-12-8. 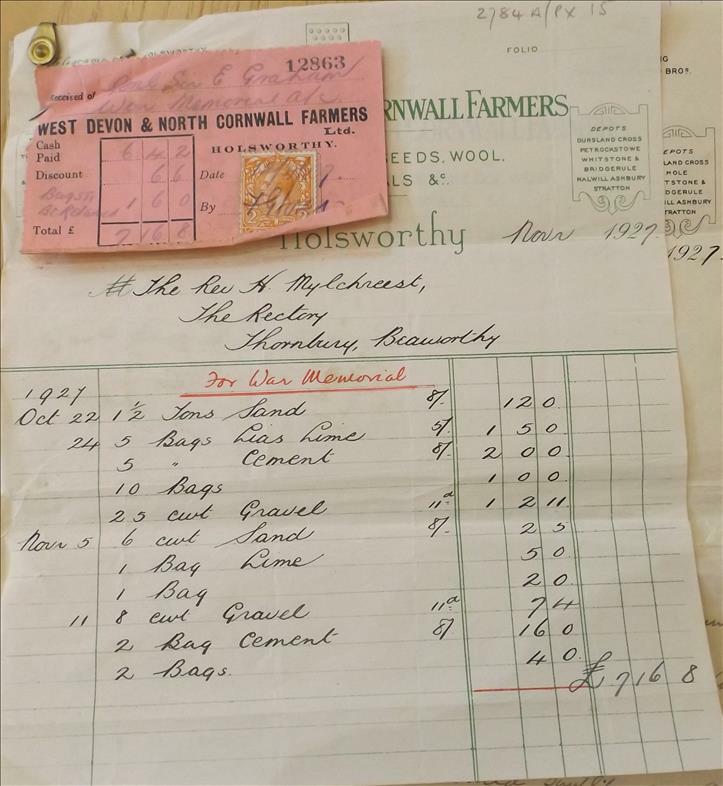 The total cost was £80-5-7.